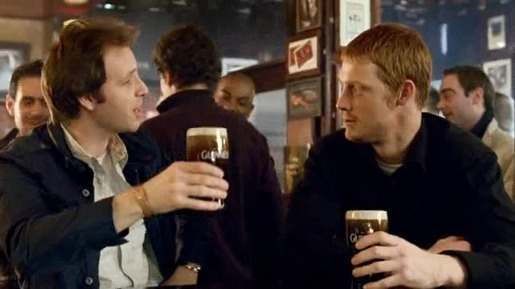 Guinness celebrates its 250th anniversary this year with a series of television commercials, one of which toasts Arthur Guinness, the founder of the famous brewery in Dublin, Ireland. The spot features a Chinese whispers effect, in which different groups of drinkers mishear a toast to brewery founder Arthur Guinness. A straight version of the ad, in which everyone gets Arthur’s name right, will air in some parts of the world. Diageo is rolling out a number of ‘Arthur’s Day’ events on 24 September, to be held in cities including Dublin, New York, Lagos and Kuala Lumpur, marking the anniversary of Arthur signing a 9,000 year lease at St James’s Gate brewery in Dublin. The actual starting date on the lease was 31 December 1759. The Toasts campaign was developed at Saatchi & Saatchi EMEA by regional creative Director John Pallant, copywriter Dave Govier, art director Levi Slayin, planner Karl Bates. Filming was shot by director Antoine Bardou-Jacquet via Partizan. Editor was Bill Smedley at Work Post. Post production was done at The Mill, London. Sound was produced at Wave Studios, London. Audio post production was done at Phaze UK, London.